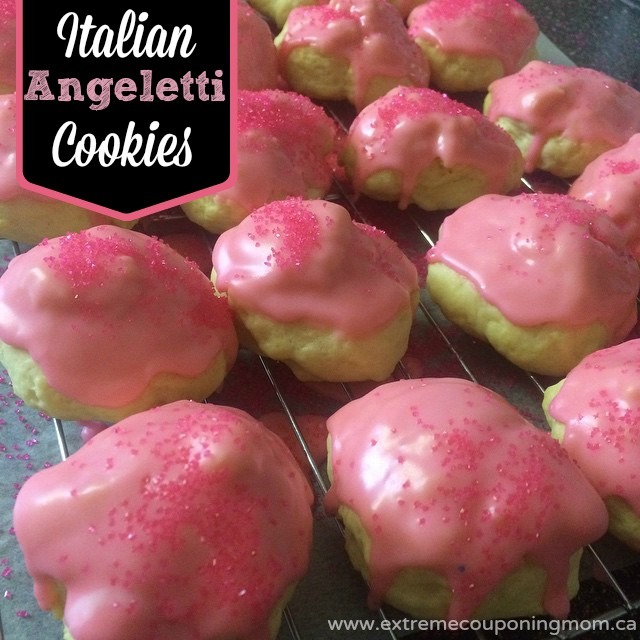 The Best, Most Delicious Italian Angeletti Cookies Recipe Ever! I am far from the cookie monster in our home, for that matter if you take a poll every one will name Steve (my better half) as the #1 cookie monster … well for that matter we will just say any baked good is NOT safe if he gets the scent of freshly baked treats! I will admit that if I come across these cookies at a party or if I bake a batch myself there is no sharing happening! I turn into that big, blue, greedy cookie monster and devour them all. Sometimes I make noise, sometimes I am quietly munching! All joking aside these Italian Angeletti cookies are to-die-for! They are soft like a cake and topped with a super easy icing and some sprinkles or coloured sugar if you’d like! In a medium bowl sift together your flour, baking powder and salt then set aside. In the bowl of your electric mixer fitted with the paddle attachment on medium speed, cream together your butter and granulated sugar until they combine, becoming light and fluffy. On medium speed add your eggs one at a time ensuring you mix well after each addition. Add in your vanilla and beat well until incorporated. With mixer on gradually add your flour mixture (1/4 cup at a time) and beat until dough comes together. Scoop dough into tablespoon size balls and place onto a baking sheet lined with parchment paper. Bake until golden brown on bottom, about 15 minutes. Transfer to a wire cooling rack to cool fully before icing. In a medium sized mixing bowl pour in your icing sugar. Add in your water a bit at a time, mixing well each time you add water. You want the icing to be thick but not too thick. Thin icing will just run off so you want a nice consistency. At this point you could also add in colouring if you wanted to make coloured icing as I did above with the pink. I used Wilton Icing Colour Kit that I purchased at Walmart for $16.97. Take your cookies one at a time and dip them in the icing top side down in icing. Once you have a nice coat on the cookie put it back on the cooling rack and add sprinkles/sugar at this time before the icing hardens. I also place a sheet of parchment paper under my cooling racks to catch any icing or sprinkle mess for easy clean up. Allow the icing to harden for about 30 minutes. Keep in an airtight container for up to a week or freeze for up to a month! Don’t forget to use the social buttons below to pin or share this recipe with all the cookie monsters you know! 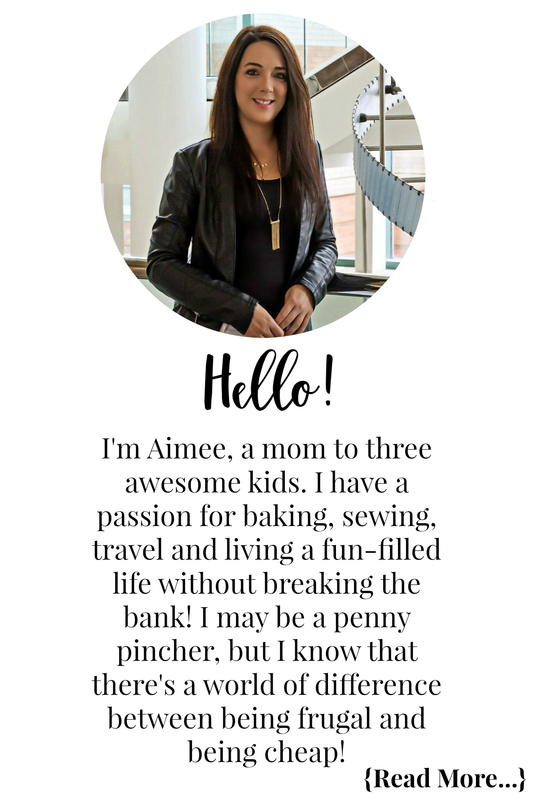 Oh this would be so perfect to bring to our last playgroup potluck for the school year! Definitely a treat! and very unique. Oh, I love these! And they are so pretty with pink icing.